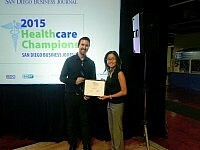 Congratulations to Joyce Tang for winning the 2015 Healthcare Champions Award in Healthcare IT! The San Diego Business Journal Healthcare Champions Award recognizes individuals in San Diego who have shown outstanding leadership and innovation in the fast-changing healthcare industry. 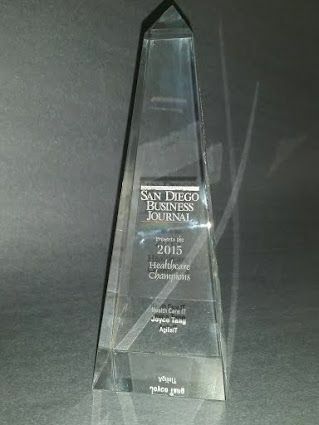 Joyce was among the 49 finalists for this year’s awards held on October 15, 2015 at the Hall of Champions in Balboa Park. The awards consisted of several categories, such as community leader, emergency medicine, health care educator, healthcare IT, physician, nurse, and wellness, where winners were selected by a body of renowned experts in the respective fields. Among the winners are individuals from prestigious organizations such as Sharp Healthcare, UCSD, Scripps etc. The Healthcare IT Champion Award has been given to Joyce for her exemplary work with the San Diego healthcare industry as well as government healthcare organizations across the US. 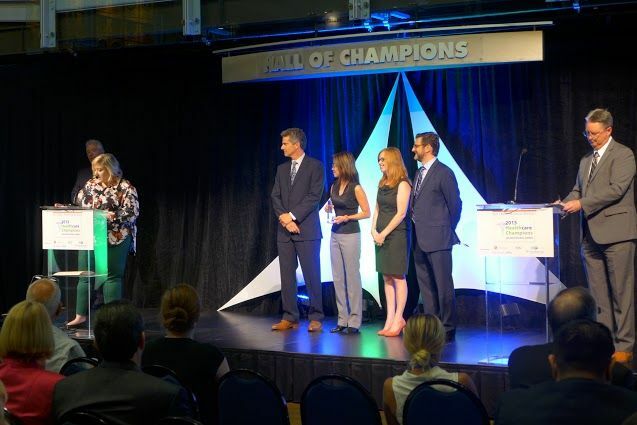 “It’s an honor to be recognized for the work we’ve done with local physicians, community medical groups and government health agencies, and to share the stage amongst well-respected winners from UCSD, Sharp Healthcare and Scripps. In recognition of her dedication in guiding her clients through technology challenges and charitable work in the community, the Healthcare Champion Award adds another milestone to Joyce’s lifelong pursuit for healthcare IT excellence.